Thirteen months ago, Allegiant started just two direct flights to Jacksonville — from Cincinnati and Pittsburgh. Tuesday, the ultra-low cost airline out of Las Vegas announced its ninth flight to Northeast Florida, a move that could be a tipping point to Jacksonville International Airport becoming a more crucial part of the airline's network. “The next step with them is we become a base,” said Jacksonville Aviation Authority CEO Steve Grossman in an exclusive interview with the Business Journal ahead of the announcement. The airline added Indianapolis; Asheville, North Carolina; St. Louis via Belleville, Illinois; and Columbus, Ohio to its existing flights. 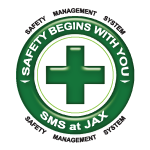 In addition to Cincinnati and Pittsburgh, the company flies from Jacksonville to Richmond, Virginia; New Orleans, Louisiana and Memphis, Tennessee. Because Allegiant's cost-saving business model is to have pilots and crew end in their home city — so they don't have to pay hotel costs of having them stay somewhere else overnight — a plane will often finish its travel for the day in a base city. With enough flights in and out of Jacksonville, it could soon be one of those cities, Grossman said. While Allegiant wouldn't confirm if would start basing aircraft in Northeast Florida, it is a possibility, said spokeswoman Stephanie Pilecki. 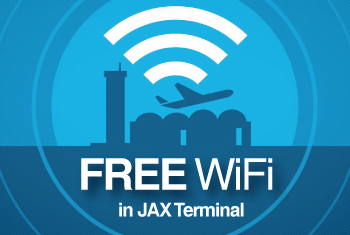 Jacksonville is one of the airline's destination cities, and aircraft are usually based out of a destination so they can more easily fly. While other airlines focus on a hub model or cities of concentration, Allegiant is doing something different, flying to medium-sized markets largely ignored. Pilecki said the airline is happy to be, and often is, the only airline flying a certain route. The company also connects those markets to major tourism destinations — of which it includes Jacksonville. Grossman said he believes Allegiant will continue to grow and add more flights, as long as it is making the money it wants and has the community supporting it. Allegiant's quick expansion into Jacksonville has already boded well for the airport. Last year was the airport's best year, Grossman said, bolstered significantly by Allegiant: Just adding their new flights last year grew the airport by 1 percent.